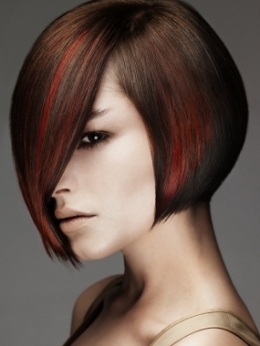 Team up your base tone with the following hip hair highlights ideas to maintain your strong reputation as a hair icon. 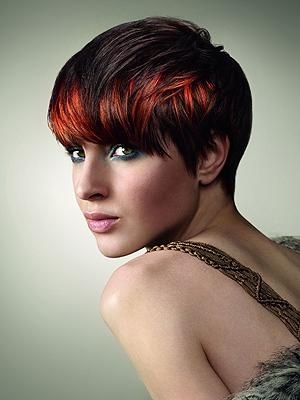 Choose a partial hair coloring to achieve your goal of staying versed with the upcoming color trends. 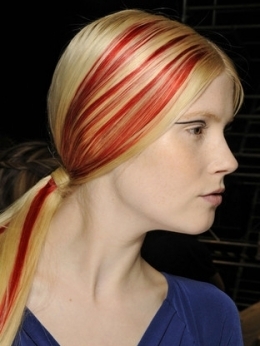 Pick your favorite shade be it bright or classy, the point is to wear your tinted streaks with attitude. If you wish to take a closer peek at the hottest looks of the season, make sure you skim through the fabulous and hip hair highlights ideas presented below. 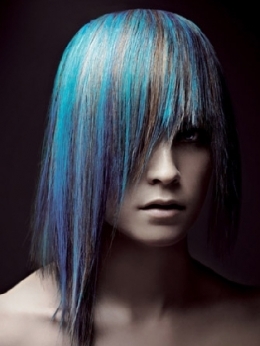 These hair coloring designs and patterns will furnish you with the best means to join the craze the entire high street embraced in order to banish the monotony of blocky hairdos. There's no need to sport a uniform shade if you long for versatility. Instead, why not flirt with the idea of a partial hair dyeing that would still preserve your original hair color with additional and extra-glam tinted streaks. 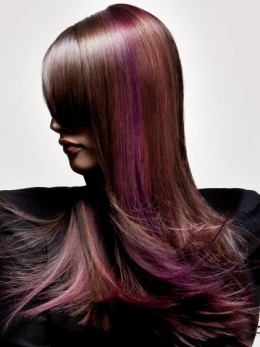 Prepare for your fabulous metamorphosis and ask the assistance of a pro stylist to help you select the desired hue and also the highlighting techniques. Natural looking hair highlights lead the list of on-trend hair color alternatives thanks to their ability to adapt to all base tones and hair lengths. If you are sick and tired of the plain tone of your locks, make sure you embrace a similar tone and draw some inspiration from the examples above to have a clue about the process and final outcome of the complete hair coloring. Honey or golden hair highlights look fabulous on blonde and brunette hair. Furthermore, you can also think about copperish as well as orange tones that would blend without any difficulties into your overall do especially if you choose muted and similar shades to your base hair color. 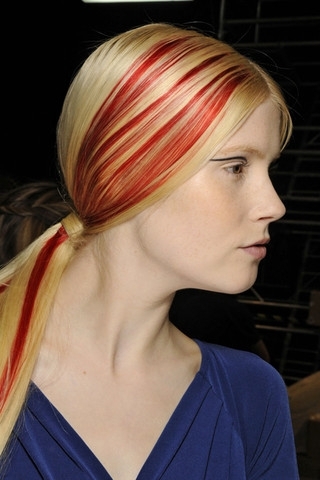 Red is definitely the new black when it comes to hair highlights. 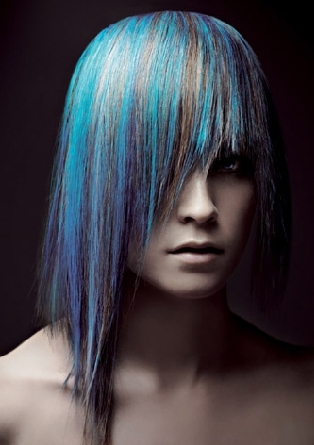 Choose one of the moderate or more edgy hair coloring patterns and pick the ideal shades to achieve your goal of making a real style statement. The runway and also the red carpet were flooded by our favorite celebs who promote the trend like real pros. Why not join their pack and experiment with the various dyeing designs and patterns from the chunky, dip dye to other techniques that are oh-so-popular these days. Pierce the stylish streaks into your long, midi or short hair style and make sure you visit a pro hair salon if you are a rookie in the art of hair coloring. 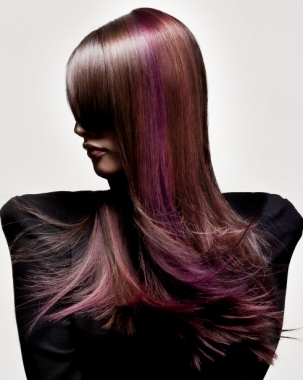 If you are a natural born hair color adventurer, try your hand at the more alternative and cutting edge hair highlights from purple, blue to multi-tonal or colorful rainbow hair styles. All these prove to be a secret weapon to rise above the crowd and flash a bit of your versatile personality. 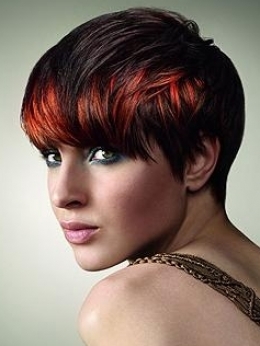 Pair the right hairdo to your clothing style and make sure you know the secrets of application and color selection. 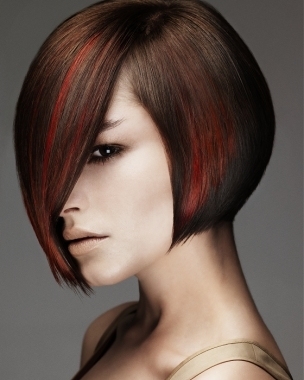 Limit the use of highlights to the crown section or spread the stained tresses all over the do for a more eye-popping and edgy effect.